Unique program running all year long: French & Yoga! 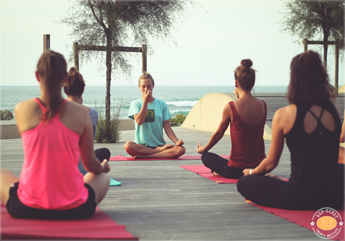 It will give you the opportunity to combine your French lessons with yoga classes supervised by a yoga specialist! Perfect for experienced yoga practitioners or beginning yogis, this course will live you blooming, strengthened and relaxed. All of them are native speakers, university graduates and specialized in teaching French to foreigners. They are all experienced in teaching French in France and abroad. During each class, you will practice your French in communicative situations working on 5 five skills: written production, oral and written comprehension, oral interaction and oral expression. You will assist to 4 yoga classes per week. You will be able to choose among several time slots, from Monday to Sunday. Each of our Yoga Masters is trained, has special skills and will offer an amazing experience. They will support you in your quest for a better lifestyle! You will have the great opportunity to beneficiate from Vinyasa Flow and Power Yoga with Laura: dynamic yoga with development of strength and breathe control; introduction to Pranayama techniques and meditation. Each yoga session is directed in French for a total and efficient French immersion. 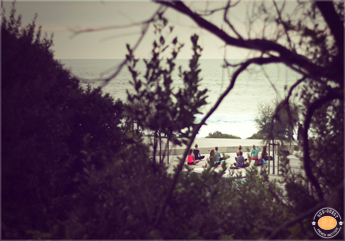 Join us to stretch your body, lighten your mind and enrich your soul.